The Department of Defense is inviting hackers to attack its websites to test the security of its websites and networks. Calling it “the first cyber bug bounty program in the history of the federal government,” the DoD says only “vetted hackers” will be accepted to join this pilot program. The Pentagon has also tapped Alphabet Executive Chairman Eric Schmidt to make itself more tech-savvy. If you are an American and can pass a background check, go and hack into Pentagon’s websites. Participants of this bug bounty program will receive money and recognition for their work, the agency said earlier on Wednesday. Considered as a first of its kind, the “Hack the Pentagon” program will give cash rewards to participants who can identify weaknesses in the agency’s public web pages. The program is designed after similar bug bounty programs that are conducted by major private tech companies to improve their services and network security. Defense Secretary Ashton Carter announced the program during his visit to the Silicon Valley in California earlier today. I am always challenging our people to think outside the five-sided box that is the Pentagon. Inviting responsible hackers to test our cybersecurity certainly meets that test. I am confident this innovative initiative will strengthen our digital defenses and ultimately enhance our national security. 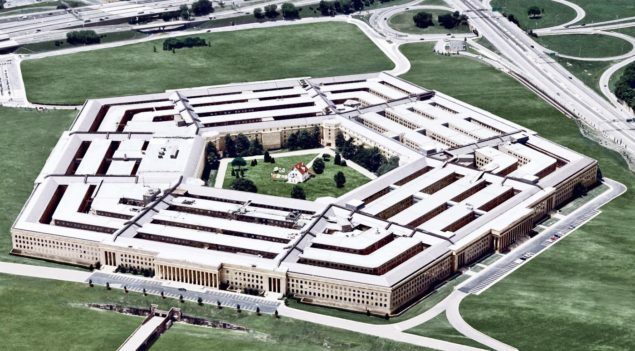 Hack the Pentagon is slated to begin in April this year. For those of you wondering what if the vetted hackers end up leaking information or hurting some critical DoD infrastructure, the agency said that the participants will only target a predetermined system, not part of its critical operations. The white hat hackers will seek vulnerabilities in DoD’s 488 websites in order to help the agency strengthen its networks against cyber attacks. During his visit to the Valley, Carter also announced his plans to establish a Defense Innovation Advisory Board. The innovation board will provide advice to the Department of Defense from a Silicon Valley perspective and will be led by none other than Eric Schmidt – former Google Chief Executive Officer. Eric Schmidt is the executive chairman of Google’s parent company Alphabet. This board is one of Carter’s latest efforts to bring innovation right from the Silicon Valley to the U.S. military, building bridges between the U.S. technology industry and the defense department. Carter and Schmidt will select over 12 individuals from public and private organizations who will assist Schmidt in helping the Pentagon to become more innovative and adaptive in new technologies. The announcement of a Google executive chairing the innovation board at Pentagon comes at an interesting time when Apple is in a legal fight with the federal government over encryption. Carter and Schmidt will talk more about this new board at the RSA Security Conference.